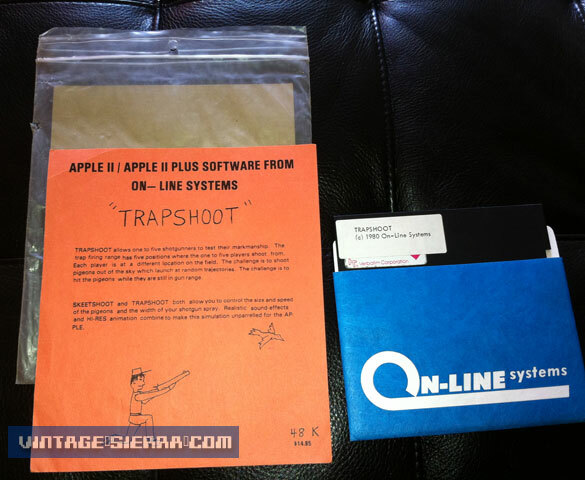 This is the first and only release of Trapshoot. Very few copies were sold, it's said that Ken and Roberta went shop to shop distributing the game in the Spring of 1980. "...My best recollection is that it released shortly after Mystery House.. meaning within days. I 'think' that we released Trapshoot, and then the programmer (I still think the name was Keith) put some more work into it, and turned it into Skeetshoot."